I just need to put it up, but it will look very nice once I have it up. My grandson loved the picture and giggles every time he looks at it. It is the perfect size and I love that it can be wiped clean if needed with no damage to the picture. The Wall Mural Looks amazing, once it is up. if you are close up, it does not look like the image lines up, but when you stand back. It all comes together. (1) one holding the print straight. Use a damp sponge to apply. Wring it out. It makes installing a lot easier. You have to take your time and get the top straight. Glad my wife is meticulous. If not, get someone to put it up for you. Amazing, OMG, its freaking amazing. Absolutely gorgeous but a pain in the neck to put up, you need two people. The mural was a pain to put up. Took me 4 hours and there are a lot of wrinkles in it. Luckily the graphic is forgiving so, unless you’re up close to the wall, it is unnoticeable. 3 stars for how realistic the graphic looks. Overall it is a good addition to my meditation room. I bought the 24"x32", Clear Spring and Green Grass mural. I work in a small office that doesn't have a window so I wanted to add the illusion of space and airiness. This window mural is perfect for that. It only took a few minutes for me to adhere it to the wall opposite my desk. Now, every time I look up from my computer I can be transported to the outdoors to enjoy green grass, flowers and a flowing stream. The colors are vibrant and true. I did remove a star from my review because, although I really like this mural, it's not as easy to reposition (and probably even remove) as you're led to believe. I thought it would be held to the wall with something similar to static cling. However, the "adhesive" on the mural is very strong and it's actually difficult to reposition. 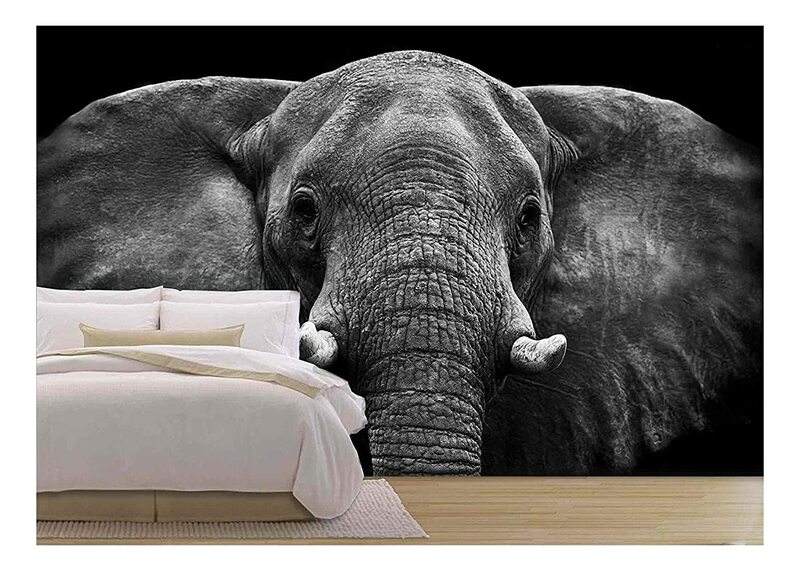 I don't think it's a traditional adhesive but it is definitely powerful so you will want to get the positioning of the mural as close to right the first time you adhere it. I don't think it will damage the wall but more than likely it will tear when I attempt to remove it. However, it serves my current purposes and I'm really glad I found this. Great background for the price. Absolutely love it!!! It fit perfectly.